For the first time in forever, UFC featherweight king Jose Aldo is not at least a 3.5-to-1 favorite to defend his crown. However, it will still cost you a pretty penny if you intend to take the Brazilian when he meets Chad Mendes at UFC 143. 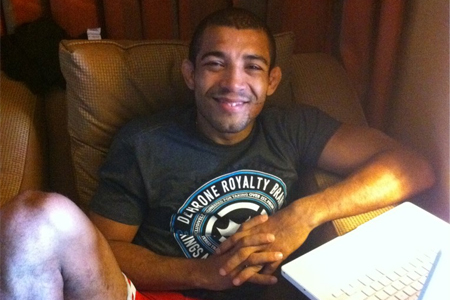 Aldo is a -245 odds-on favorite to beat “Money” on January 14th. Mendes, on the other hand, checks in as nearly a 2-to-1 underdog in his first championship affair. The card’s co-main event between Anthony Johnson and Vitor Belfort offers the main card’s closest lines. “The Phenom” is a slight -150 favorite to ruin Johnson’s middleweight debut inside the Octagon. “Rumble” comes in just behind at +120. Rio de Janeiro’s HSBC Arena will host the fiesta. The 145-pound affair headlines the pay-per-view broadcast.